I chose to install Knoppmyth (R5.5) since it’s Debian based and it’s somewhat familiar to me from having messed around with it three years ago. There’s also a good community forum built around Knoppmyth for support. Mythbuntu also looks nice and I will probably try it out later when I have more time to see how each distro compares with one another. Installation on the new system was a breeze but I did run into some minor snags. 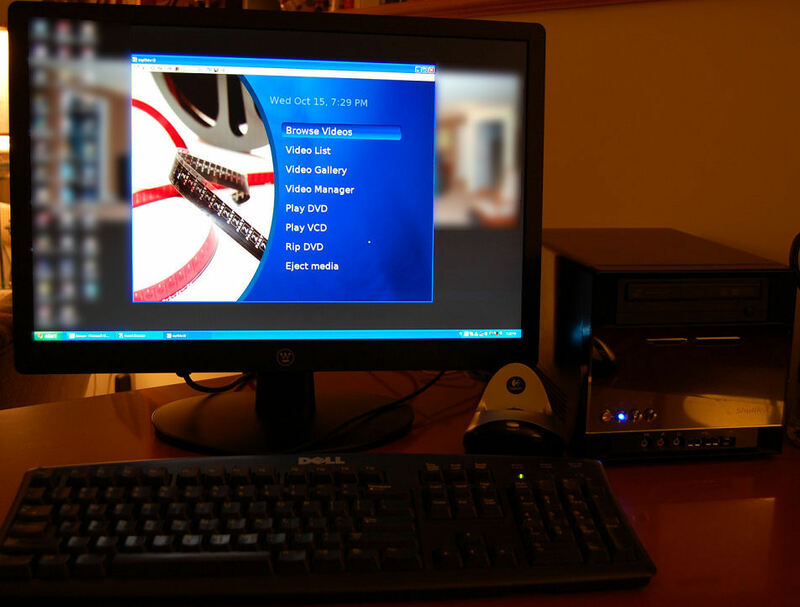 The installation was done with the HTPC connected to my Westinghouse 22″ LCD, and subsequent tweaks are being done via VNC on my Window’s box. 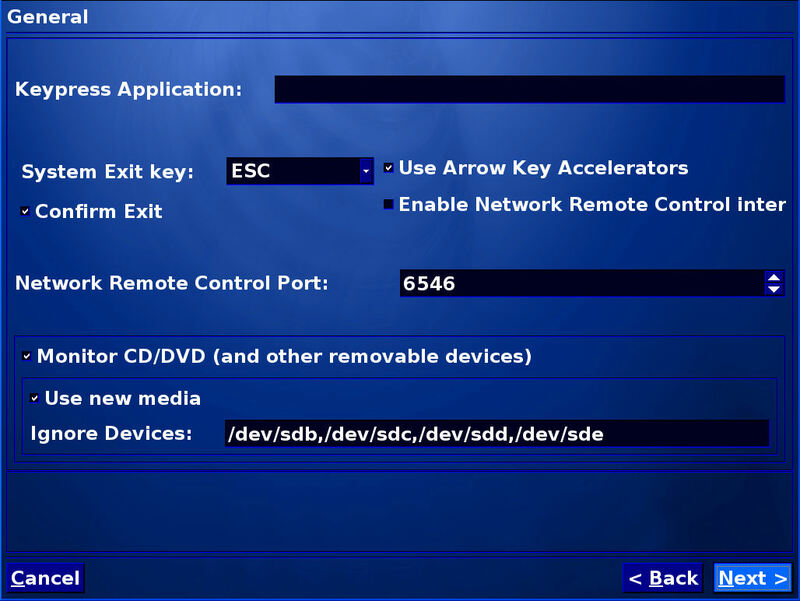 Once I feel comfortable with the install, I will reconfigure xorg.conf to play nice with my Sony KDS-55A2000 HDTV @1080p. A nice feature of the Knoppmyth installer is the remote control script. During installation, I was prompted to select a remote control to use with Myth, and I choose the Imon-Pad option to match the Moneual’s Imon pad remote. Without any issues, I was able to use my remote immediately without hassling with recompiling LIRC or config files – nice! When prompted to configure, hit “y”. A reboot was then required before the VFD would activate. Note: the large clock mode isn’t compatible with my VFD’s two line display so I had to disable this option under the Appearance > LCD settings within MythTV. 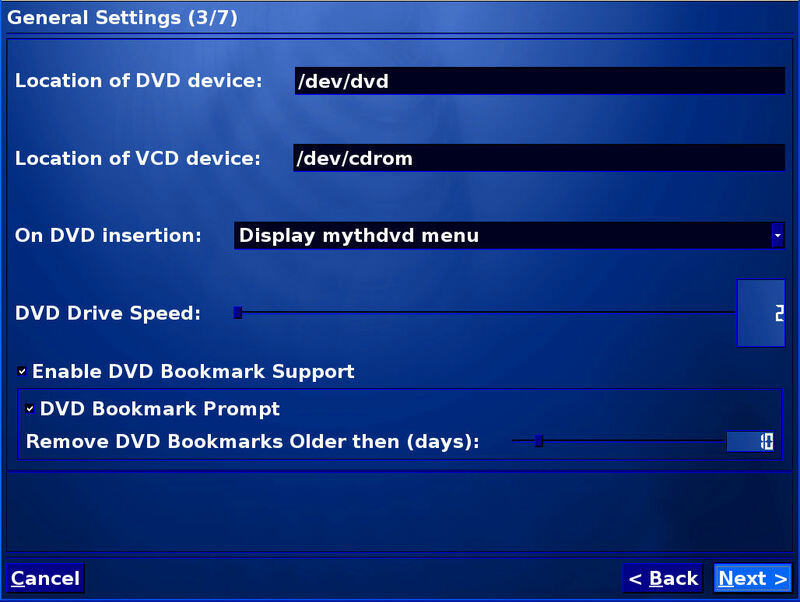 The lines that contained the string “SYMLINK+=”cdrom1” were changed to “SYMLINK+=”cdrom”, and similiarly for SYMLINK+=”cdrw1″, SYMLINK+=”dvd1″, and SYMLINK+=”dvdrw1″ – the “1” had to be dropped from each instance. This entry was posted on Sunday, October 19th, 2008 at 11:07 am and is filed under MythTV. You can follow any responses to this entry through the RSS 2.0 feed. You can leave a response, or trackback from your own site.